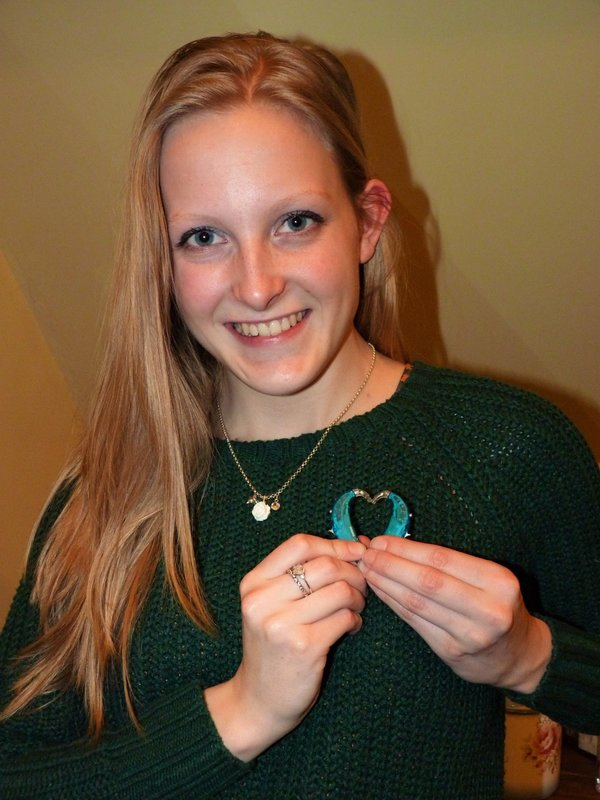 Ellie is a profoundly deaf blogger who writes all about life as a deaf person on her own website, Deafie Blogger. Today, she talks to us about invisible disabilities, the prejudice faced by those who don’t ‘look’ disabled and the choice to disclose disability on job applications. We’ve all done it! ... Ok I've been rumbled!!! ... I've done it myself! The moment when someone parks in a disabled parking bay or goes into a disabled toilet, I've got to admit I'm guilty as charged, I've thought to myself; are they really disabled? Or they don't LOOK disabled! Well, what 'deaf' people are supposed to look like defies logic?! What I'm trying to say is, with many disabilities, you just can't tell by looking at the disabled person what disability they have and to be honest, we don't always need or have the right to know. This gets me on to the subject (slightly off on a tangent), as to whether disabled people should declare their disability on a job application. I was advised by a lovely, helpful Disability Employment Advisor at The Jobcentre (who I would definitely promote) that we don't have to disclose our disability by law on an application form, so that's completely up to the individual person. Although, of course if you do need extra help or adaptions at an interview or for the job itself then it might make more sense to let them know. I always think that having a disability means we have to try so much harder, so employing a disabled person makes complete sense. Getting back to the original subject, 'invisible' disabilities are only invisible to others who either don't know or who don't want to know. To some people, they don't really exist or are in some way less significant if they can't be seen. I blog about deafness to increase deaf awareness and to hopefully help people to understand the difficulties, to change perceptions and for others to hopefully become more tolerant. Rather than hiding our disabilities or feeling embarrassed or ashamed of them, we should be able to live in a society which embraces everyone. Everyone is unique, no one is any more important than anyone else. We all deserve the same respect, dignity and consideration. So much more needs to happen for people to embrace and accept everyone for who they are, and not what society wants them to be. We are all different. My favourite story I'm 'borrowing' from my disabled uncle. He pulled into a disabled parking bay at his local supermarket, but hadn't put his blue badge in place. A grumpy bystander started shouting at him as he struggled out of his car, pointing out that it was a disabled parking bay. My uncle's reply; 'Do I look *beeping* normal?' He cheekily called back... (He’s an achondroplastic dwarf and proud of it!) He could tell that the chap was so embarrassed, but he just couldn't resist! Have you encountered any uncomfortable situations due to having an invisible condition? We'd love to know: leave us a comment below! I am exactly the same. I am profoundly Deaf as well as being Disabled. A lot of the time people talk but not directly to me so I cannot lip read and totally miss what is being said.. I think as people see am active and work that am OK bar being in a wheel chair they see that Disability But Not Being Deaf!. @deafieblogger, great Guest Blog, I will be reading more of your blogs :-). I can get where you are coming from as my Husband has been profoundly deaf since birth. People have no patience, and certainly because he looks" normal", they just think he is stupid, he is actually very intelligent, but people have actually said that to him " Are you stupid?". If I am around though I show them up BIG time. I miss nothing, and shoot from the hip so to speak, lol. Interesting read, invisible disability, would stammering /stuttering be classed as a disability I wonder?. @Arthur. I guess if it affects you in every day life, maybe stops you doing things you would otherwise do then it should be classed as a disability. Try telling that to the DWP though, they have enough trouble recognizing a disability even if someone crawls in to the assessment !! A close friend of mine managed to do this - it was a bit strange being asked if I was slightly deaf or something. Not too extent that he has to do something like talk louder or something. But I still really have no idea how he worked it out. I have looked into this alot, in fact I have just published a book about it. Obviously I cannot advertise it here. The fraudulent cases are in fact a very low percentage if you go and search for the figures. Scope have agreed to let me write a second guest blog ( in the middle of writing it now :-) ), they have also kindly said I can put a link to the book at the end of that. @GeoffBosworth195661 A person who had a active life enjoyed life to the full then one day his life was turned upside down living a life in his own body tomb. He started with Severely blind deaf, paralysed, now mute epilepsy syringe feed by fluid in body all through tube. is only communication is just one stamp size spot to communicate. No one around the globe can help with technology to give the person some independent. H has a machine to tell us if the person his awake or asleep.The person who lives a life tomb.If he his laid down the body will shut down suffocating. We have to realise we have invisible disability and treated with great respect. The person has further issues but this is to upsetting to read which I will treat with respect.. I have severe anxiety (which isn't exactly invisible at it's worse) depression and FM. I've been spoken to like I am stupid by people because of my mental health, I've had therapists and an occupational therapist assume my weight was the cause of my mental health, it's the other way around. People are so fast to assume instead of asking. I've also had issues with Dr's assuming things as well. I now don't ask for help from Dr's due to this which isolates me and prevents me from getting the help I need. @Reria74 I know what you mean about Dr's. I have had so many problems with them and their assumptions that I have now attended 6 different surgeries in 2 and a half years. Twice I was kicked out and the other times I left, twice on the advice of friends. It is so hard to find a Dr that will make the effort to both read notes and listen properly. I've been told by people who should know better I don't look disabled or my diagnosis is wrong for the most ridiculous of reasons. But how does anyone know what I really see or hear? - I'm not partially sighted, my diagnosis doesn't exist (there's an awareness day and charity for it!) and I'm actually Dyslexic. - I'm not Autistic and have anxiety. I just need counselling and I'll be fine. I don't meet the criteria for either of the conditions they claim I have. Nor has anyone else ever suggested I have them. And it's most strange that people who know me, either tell me they're not surprised I'm Autistic or have worked it out. And if you do an eye test on me, it's clear something's not quite right because I can only read a few lines. Strangely, I won't be applying to a college who are that clueless about disability. I'd love to know where the "senco" got her qualifications from. I've also had issues with Dr's assuming things as well. I now don't ask for help from Dr's due to this which isolates me and prevents me from getting the help I need. I fully understand your doctor problem as mine is the same. You go to see him and are only allowed to dicuss 2 problems which in fact gets you nowhere. Hidden disabilities need much more time due to the complexities of them. Everything is hotch potch so nothing comes together to give you an overall diagnosis or treatment. I am changing doctors and who knows I might get a decent one this time.